When it comes to starting up a business, there are various things you should do to make sure you are as prepared as you can be. 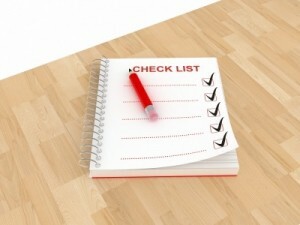 Take a look at our checklist to find out some of the things you need to consider. As well as thinking of a catchy name for your business, you’ll need to decide whether you are a sole trader, limited company or a partnership. Have a look at HMRC’s advice for registering as self-employed to find out all your need to know about setting up and naming your new business. If you want to use a corporate name, you will also need to check it is not already in use. A business plan will help you focus on what you want to achieve with your business and how you plan to do it. It will also be what you’ll use to convince financial backers and initial customers to invest in your business. Ensure you find the right premises for your business, whether that’s at home, at a hot desk or shared office space, in a rented office or a commercial property. Start promoting your business with marketing. This might include social media, sales letters, email marketing, adverts, leaflets, local press, etc. Think about whether you can do these things yourself, or whether you will need the services of a professional to help you out. Ensure you keep on top of your cash flow for your business by managing your accounts. Consider employing a bookkeeper and/or accountant, and look at ways of organising your invoices and keeping your accounts in check. There are various things you will need to look into from a legal perspective – licenses, business insurance, health and safety, data protection, intellectual property, employment law. Make sure you know what is expected of you when it comes to filling out a tax return. Consider employing a tax advisor. Find out about income tax, corporation tax, national insurance and VAT. Identify suppliers for your business and find out how they work – will they need to be paid in advance, for example? Stock up on the essentials for your office, including business cards, stationery, filing systems, etc. • For more information for starting a business check out Business Link, the Government’s online resource for starting up, improving and growing your business. What are your top tips for starting up a business? Leave a comment and let us know. For help managing your finances speak to SliQTools for a no-fuss way to raise and track professional invoices, quotes and credit notes.